Made to order, these can be made in the brushed or mirror finish. 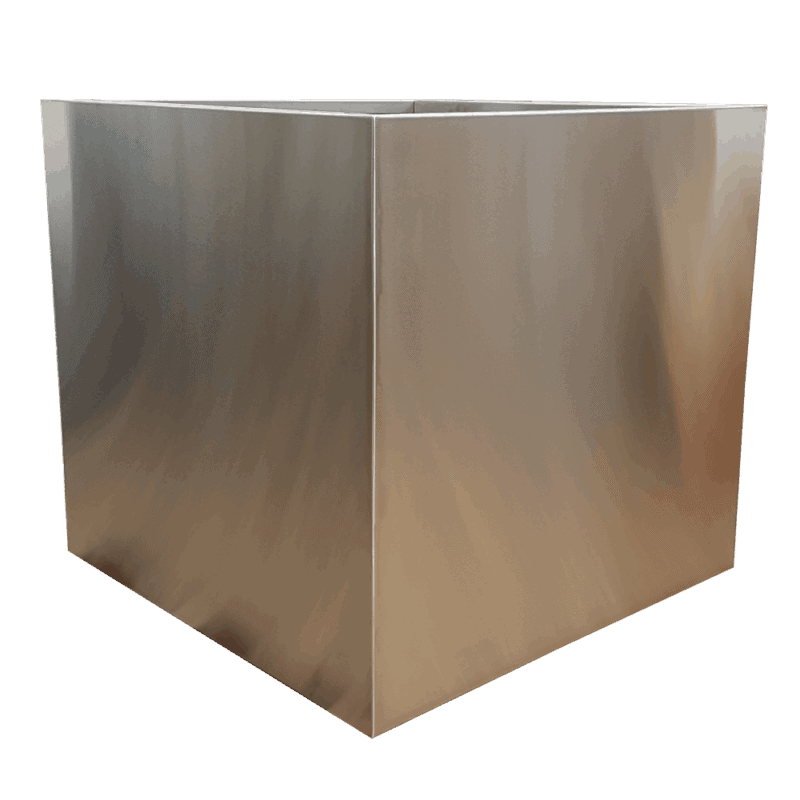 These stainless steel planters are fully welded 2mm thick 316 marine grade brushed stainless steel. 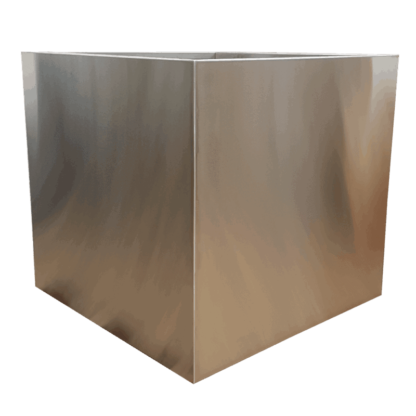 Stainless steel is becoming a more popular material, whether it is brushed or polished, you can get the ultimate metal finish in your home or garden with this selection of stainless steel containers. 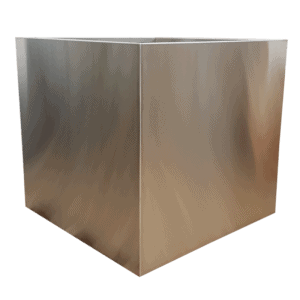 These planters are heavy duty stainless steel, these means they are very strong and durable. The optimum durability and corrosion-resistance material makes stainless steel planters a great option for a modern outdoor planter, although all of our listed products are suitable for both indoor and outdoor use. These large stainless steel pots are eye-catching and memorable. Their reflective nature means the pots enhance both water-based environments and also areas of vibrant colour. The stainless steel brings an industrial and strong theme into the outdoor space, creating a focal point amongst the plants and trees.